Sporting fans have slammed a new $360million stadium in Sydney’s west after being met with obstructed views during a tour on Sunday morning. 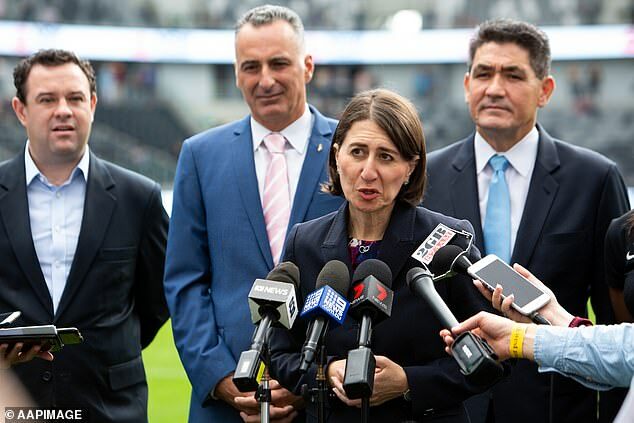 More than a thousand people poured into the new Parramatta Stadium after it was officially opened by NSW Premier Gladys Berejiklian. 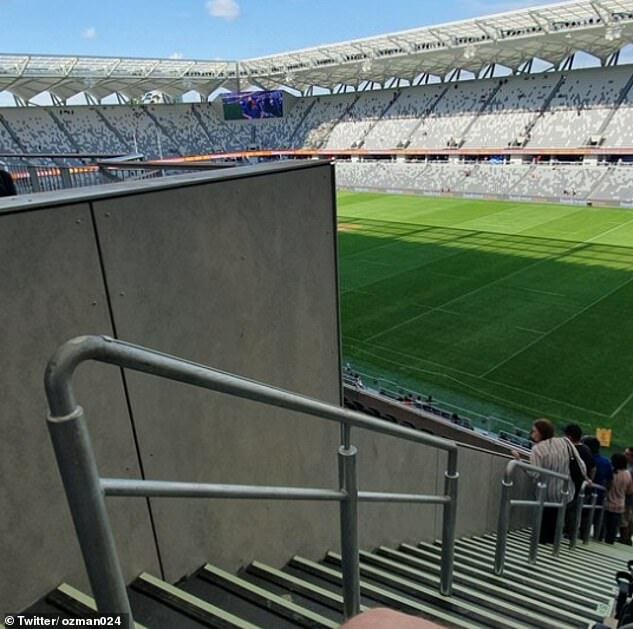 The 30,000 seat rectangle stadium will play host to NRL and A-League games. But fans were unimpressed with the new stadium’s layout, taking to Twitter to point out that some seats had an obstructed view of the field. 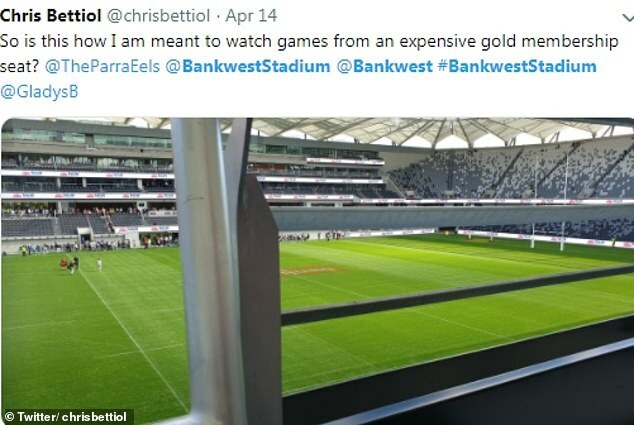 ‘So this is how I am meant to watch games from an expensive gold membership seat?’ one man tweeted. The frustrated fan wasn’t alone, with dozens of social media users also taking issue with the poor view. ‘Money well spent paying for that seat , look at all the action you can see,’ added a third. Other users joked about the view, suggesting the seats were reserved for opposing teams or referees. ‘That’s where the referee sits for Storm games,’ one said. ‘I’m pretty sure that’s where they are putting the away fans,’ said another. But Ms Berejiklian defended her new stadium. She claimed voters gave her government the tick of approval to move forward with opening the first of three controversial sporting stadiums. ‘The people of NSW… gave us the tick to keep moving forward and we know in our heart of hearts what is right for the citizens of our state,’ she said. The stadium boasts the steepest stands in the country, according to the state government, and has been designed to amplify crowd noise. 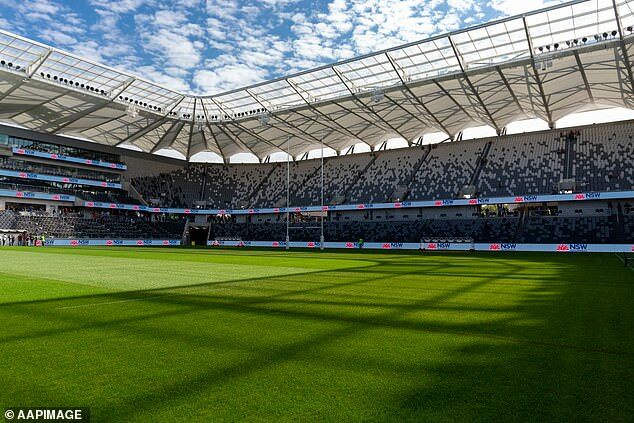 The Parramatta Eels, Western Sydney Wanderers, Wests Tigers and NSW Waratahs will also call the stadium home. The round 6 NRL match between Parramatta Eels and West Tigers will be the first sporting event at the stadium on April 22.